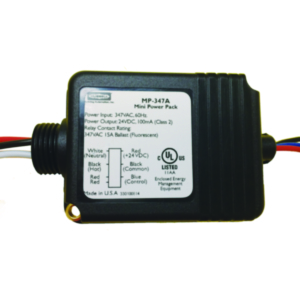 Hubbell Control Solutions' MP power packs provide two electrical functions: the 24 VDC power supply (to operate sensors) and the 20 Amp line-voltage relay (to control the load). Using a simple twist-on nut, the unit mounts easily inside or outside a junction box. 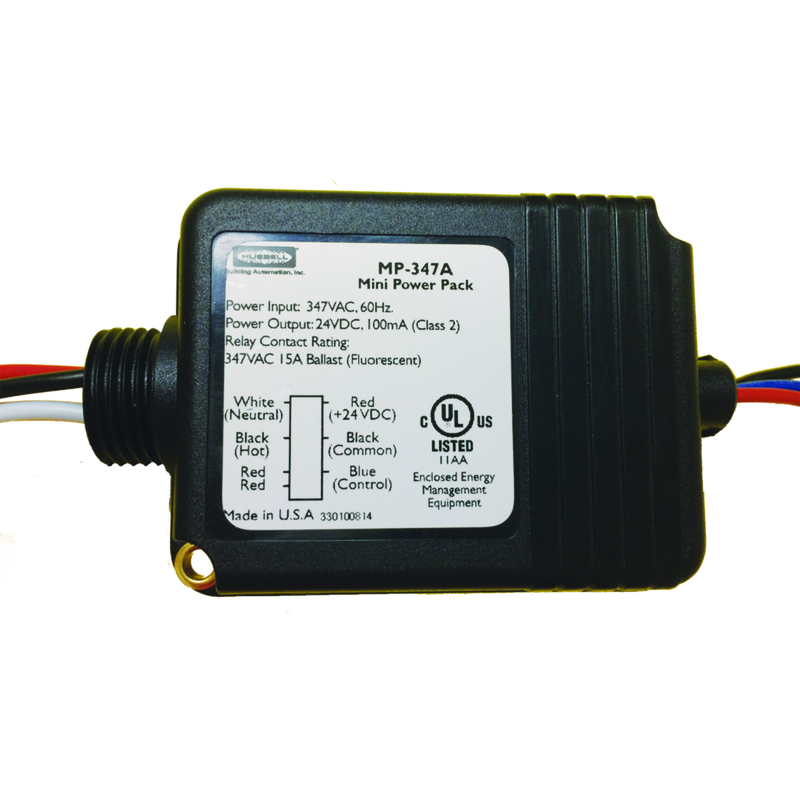 The MP power packs can power either 3 sensors or 2 sensors and the MPSA auxiliary relay for multiple circuits.